Hi! I'm KayeChamp, illustrator and graphic designer. My mission is to help you celebrate, affirm and support your tribe with every brush stroke, line drawing or digital image I create. 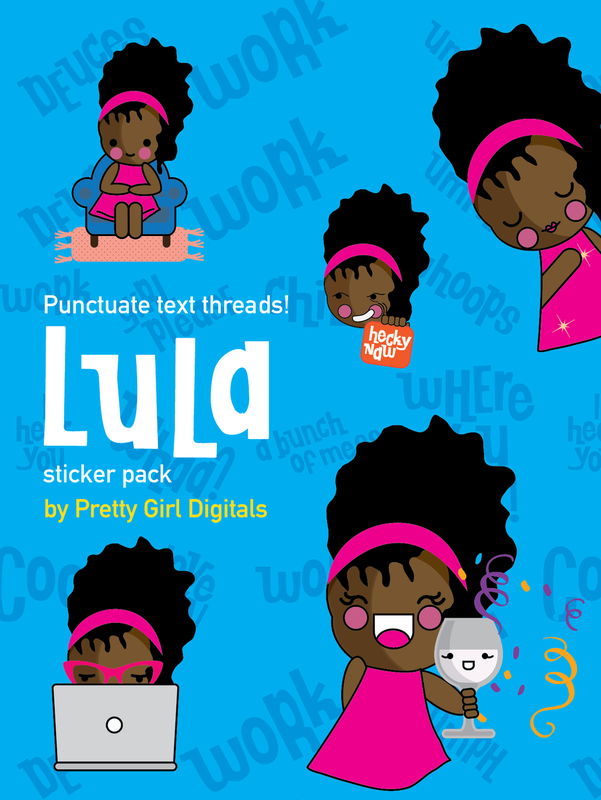 Punctuate your texts with Lula, the iMessage sticker pack! 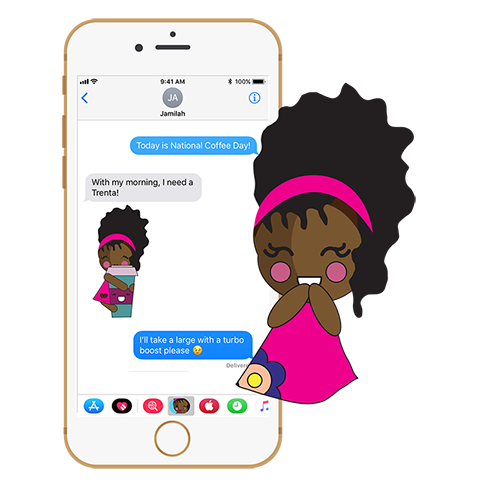 Quickly communicate, enliven daily convos and reflect your personality with over 50 stickers in this light-hearted sticker pack. Say it with Lula! Punctuate your conversations. Enliven your crew's daily text banter. Lula's playfully old-school personality and keep it real sass light-heartedly expresses what words can't illustrate.